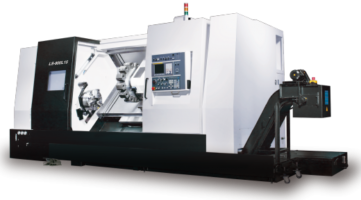 The VTC1616 is a highly rigid vertical turning center designed for heavy cutting applications. 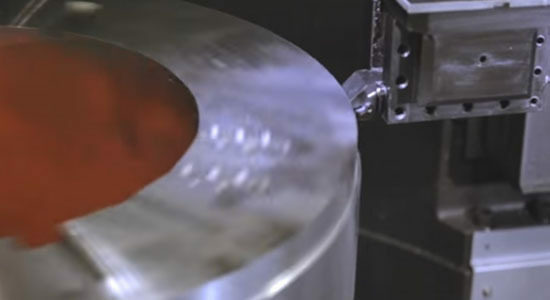 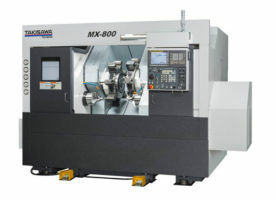 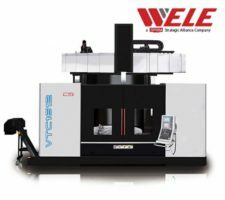 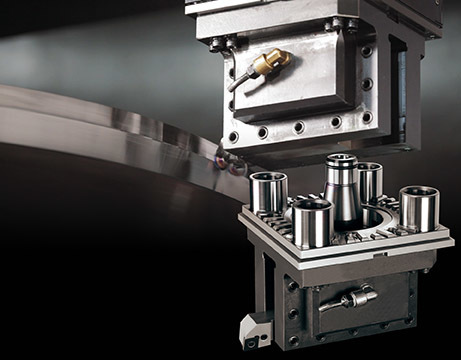 This machine features a hydrostatic table with C-axis indexing, a puzzle-type magazine for greater tooling flexibility, and automatic head changes. 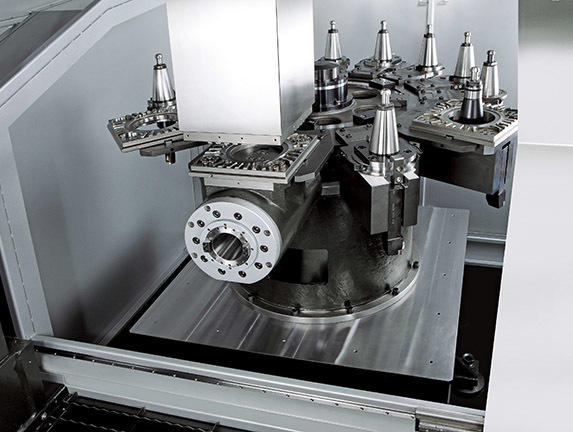 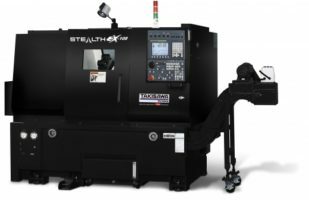 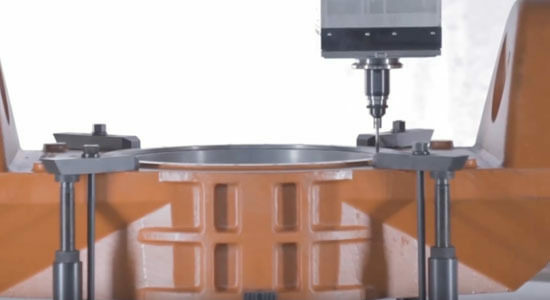 The VTC1616’s spindle utilizes a curvic gear-tooth coupler for increased rigidity, while the live function of the spindle allows turning and milling operations to be done in a single set up. 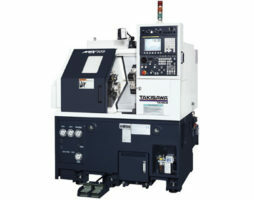 Turning Table Motor Power 60 HP (45 kW) for 30 min. 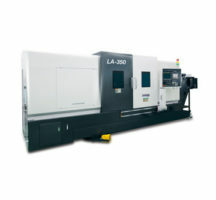 / 49 HP (37 kW) cont. 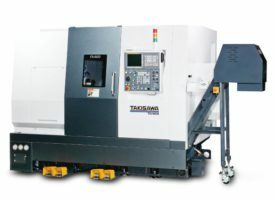 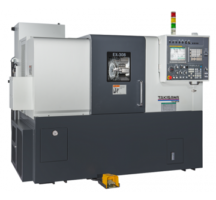 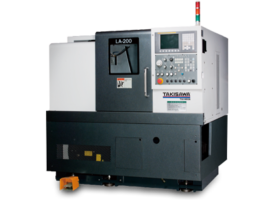 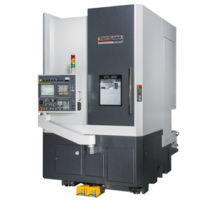 Built by Wele and supported by JTEKT Toyoda Americas, this vertical turning center features Fanuc Oi-TD controls and an exclusive puzzle-type ATC with two heads and 16 positions (optional 32 positions). With its curvic coupling headstock and box guideway design, the VTC1616 made its US premiere at IMTS 2014.